Kellsport Products is the leading distribution warehouse for WOOLWAX® aerosol and Woolwax® pails and drums. 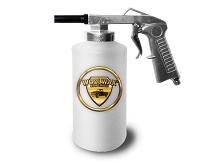 We ship to Woolwax® Dealers, Undercoaters, and auto parts stores all over the country. Ask your local dealer if they carry WOOLWAX®. 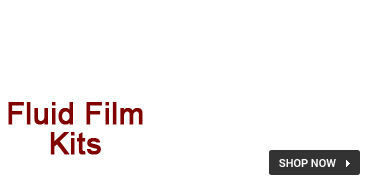 WOOLWAX® is a much more viscous (thicker) lanolin/woolgrease formula. Because WOOLWAX® is thicker, it is much more resistant to wash-off. If your vehicle is used for commercial purposes, or you are located in any area with long periods of road slush, we recommend WOOLWAX® because it is a heavier grade lanolin formula. 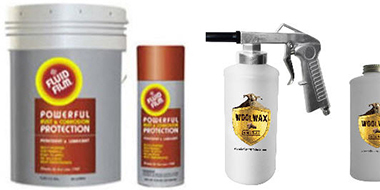 WOOLWAX® can be easily applied by using the undercoating guns offered by kellsport products. These guns were developed specifically for the waxy texture of lanolin/woolgrease undercoatings. All that is needed is any compressor capable of 70-90 psi. WOOLWAX® was developed to have almost no smell at all. Answer: Both are great products and you can't go wrong with either. The appearance is almost identical (straw colored). The primary difference is 1) WOOLWAX® has almost no smell. We have neutralized the strong woolgrease odor. 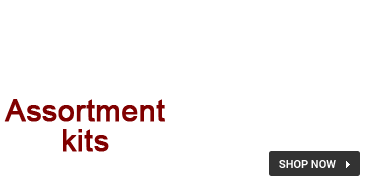 2) WOOLWAX® is formulated to be much thicker, making it more resistant to wash-off. 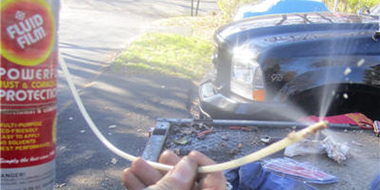 Because WOOLWAX® is thicker, in the cold weather it may need to be warmed up a bit to spray properly. We do not recommend airless spray guns for auto undercoating with Fluid Film. Many undercoaters have told us that airless guns waste 25%-50% more Fluid Film. The airless spray pattern is drastically different from an air atomized system. Airless spray does not wrap and feather around angles and edges like air atomized systems do. Airless systems are great for large flat surfaces such as walls and hulls of ships. They do not perform well on undercarriages with lots of protruding and angled parts. 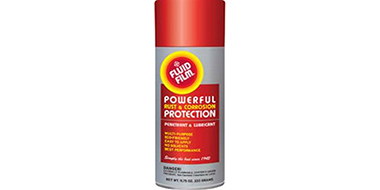 Fluid Film 8 oz. Brush Can. 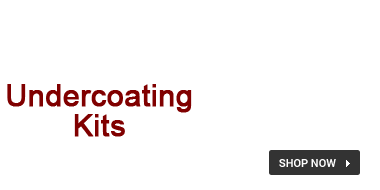 NAS formula. 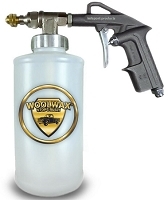 Fluid Film® & Woolwax® "Pro" Undercoating Gun.